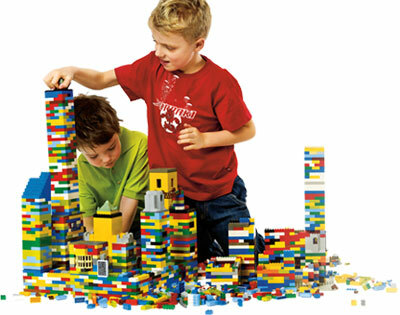 The Lego Club + is an 8-week social skills development program for kids aged 7-11 and 12-14. Here, your child will learn how to make and keep friends, play with others, problem solve, manage frustrations, and manage anxieties… all while having a blast playing with Lego. How cool is that?! Way more than just fun, this is in an empirically-supported social skills development program, too. Using a play-based approach, participants will be provided social skills coaching and learning opportunities in a natural play environment. Our Lego Club + programs accept a maximum of 9 participants per session, with facilitator ratios between 1:3 and 2:9 (depending on group needs). We strive to arrange for the most effective complement of group participants. For this reason, we ask prospective participants to complete a group registration form in advance to allow us to co-ordinate the most effective group dynamic each session. Groups operate on an 8-week semester. Groups run for 75 minutes, once per week (except for holidays and holiday weekends). Cost for 8-week session is $199 +HST. Receipts may be eligible for tax deductions under the categories of “medical expenses,” “Children’s Arts Tax Credit,” and under extended health care insurance plans under the category of “Registered Psychologist” or “Registered Psychotherapist.” Please ask us about using your extended health insurance.